Biometrics presence is growing pretty fast these days. Even with some limitations, the technology’s acceptance rate is positive. It has penetrated to many or all private spheres with the government institutions not very far behind. The biggest reason for this is the unique benefits it offers, ‘saving time and resources’ being the most important. With such great acceptance, it is likely to administer into a major part of our society, the educational institutions. Recently, there have been a lot of discussions and state government panel meetings on whether and how to implement and introduce ‘Fingerprint Attendance Machines’ in colleges. Biometric Attendance System is clearly a unique invention. Its feature to monitor a human body’s characteristics is very pleasing. So, how would it affect college students? How implementation in colleges shall benefit everyone? It is absolutely true that college students do like to bunk classes and do other important things, ‘at least important things in their eyes’. In fact not only students, even teachers in many top institutions want to skip classes and roll for reasons unknown. 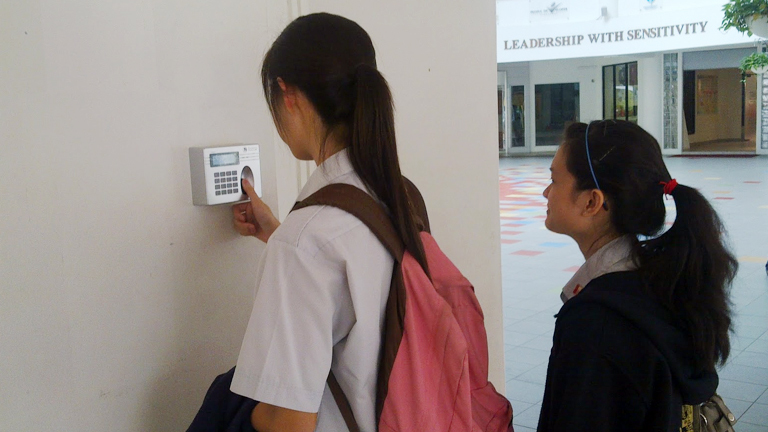 In that aspect, Biometric attendance machine plays a key role in getting them together to their original spots. Institutions are now applying pay-per-attendance scheme. Not to be taken negatively, this means that students would get a certain number of marks out of their total, with a certain attendance percentage. It means if the student doesn’t attend the number of classes as guided by rules, he/she is likely to not get the marks. In case of teachers, their salary would depend on their attendance performance. This is the most basic aspect that addresses the issue. The more complex issue in college attendance is that attendance counts for student assessments. Simply, attendance does not reflect the true performance of a student. Counting each student’s attendance is a laborious and mammoth task and incorrect attendance affects the student drastically. Imagine counting the number of matchstick from a stack of matchboxes. The machine simplifies all this operation after it’s equipped with the appropriate data. In fact, not only students and teachers but also the college staff could benefit from registering their attendance in the machine. Imagine the lengths of work and calculations eliminated due to this. Installing a machine is cheaper than the initial cost as the return-on-investment is highly applicable here. With prolonged use, this would become the common commodity. Introducing, time attendance machines in colleges are definitely a huge bonus as far as saving time and work’s concerned. However, many students might not like whole idea of installing the machine in the first place due to cutting of their free and enjoyable times. So this is a decision that shall be taken after proper consent from both parties.